One of my favorite quotes is by philosopher, Jane Hirshfeld, “Everything is changing, everything is connected… pay attention.” I can’t think of a more fitting way to begin this message. As another year of growth and challenge begins, we at the Center for Life Transitions are blessed to let you know that the Center is in transition. As of January 1, 2012, we contributed a substantial gift to North Branch Reformed Church in Bridgewater, NJ which will become an endowment and fund new counseling and eldercare ministries. Scott Pontier, former Vice President of the Center and Dona Lee Calabrese, former board Member, will be intricately involved in these ministries at North Branch. The Center for Life Transitions came into being due to the belief and financial bequest of a long-time North Branch member, Ethel Kienz, who was on our original board. Ethel had a deep concern in her heart for the elderly, and long wished that North Branch Reformed Church had the financial security that an endowment provides. We have worked and prayed hard since the Center’s inception in 2003. There has been much good work done in the past eight years, including programs, workshops, and retreats for groups, as well as individual counseling and coaching. After prayerful discussion, the board has made the decision to continue the CLT in Milwaukee under my continued leadership as an entity separate from North Branch Church. We are excited to see how Ethel’s vision and resources will continue to benefit others both on the east coast and here in the Midwest for many years to come. 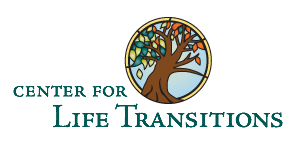 I am very grateful to Scott and Dona Lee, dear friends and outstanding professionals, for their contributions to the Center for Life Transitions and for their hard work during this transition. I also want to thank Dr. Todd Buurstra, Pastor at North Branch who had also served on the Center’s board of directors from 2003 until 2006, and who provided leadership during this change. I’m very grateful for their commitment to the Center and am excited to begin working with them to further the mission of the Center. Please contact me with any questions, ideas or suggestions you my have.